TechLine Mfg. accessories offer additional utility for Snap Track users. From covers to dividers to expansion guides, etc., our accessories cut down on field fabrication. Using TechLine Mfg. accessories reduces installation time and labor costs. TechLine Mfg. listens to our customers and provides solutions for various challenges in the field. TechLine Mfg. 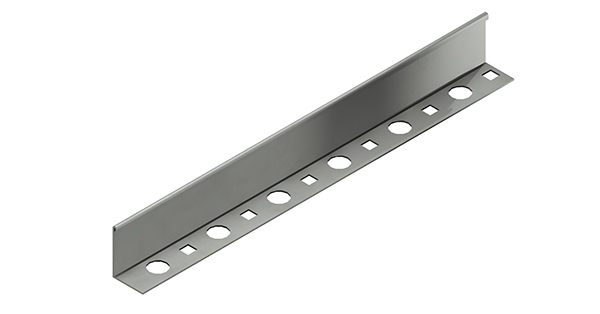 Snap Track dividers are used to separate power and data cables within Snap Track Tray. • Assembled to Snap Track Tray with Patented Push Pin. • Field Fabricated with Tin Snips for changes in radius or level. • Rolled edge for maximum cable protection. Whenever possible power cables and data cables should be run in separate trays to prevent electromagnetic interference. When this is not possible dividers should be installed to provide an EMI barrier. Problems with EMI can be minimized by ensuring that all electronic equipment is operated with a good electrical ground system. In addition, cords and cables connecting the peripherals in an electronic or computer system should, if possible, be shielded to keep unwanted RF energy from entering or leaving. Common sources of EMI include power cables, radios, motors, lighting, and mobile phones.